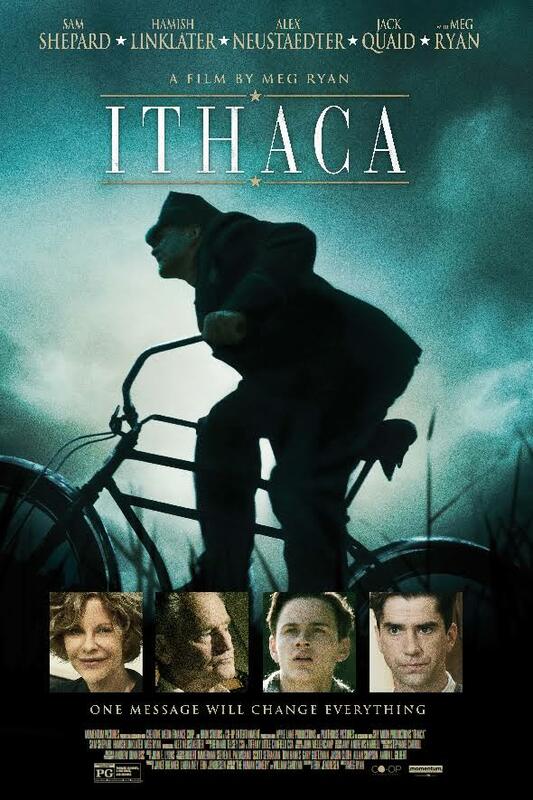 Ithaca, based on William Saroyan's The Human Comedy seems appropriate for a #ThrowbackThursday post. The book was published in 1943, the subject was the war (that part's eternal) but the main character was a young messenger boy charged with the delivery of sensitive telegrams, very much a thing of the past. It's also a #TBT because I first toldja about Ithaca in January of 2014. But mostly because the film hearkens back to another time with its reunion of Tom Hanks and Meg Ryan. Not that he stars, mind you. I believe his part is fairly small, done as a favor to an old friend. Meg Ryan. Director. The film stars Ryan, her son Jack Quaid, Hamish Linklater, Sam Sheperd and Alex Neustaedter as Homer, the young bicycle messenger. The film's score is by John Mellencamp, cinematography is from Andrew Dunn who has a long line of credits going back to the early 80's and can be seen in the upcoming Bridget Jones Baby. Ithaca is set for release on September 9th for a limited run. * I'll post it into the correct slot on the Movies Based on Books 2016 page. This isn't the first time out for The Human Comedy. 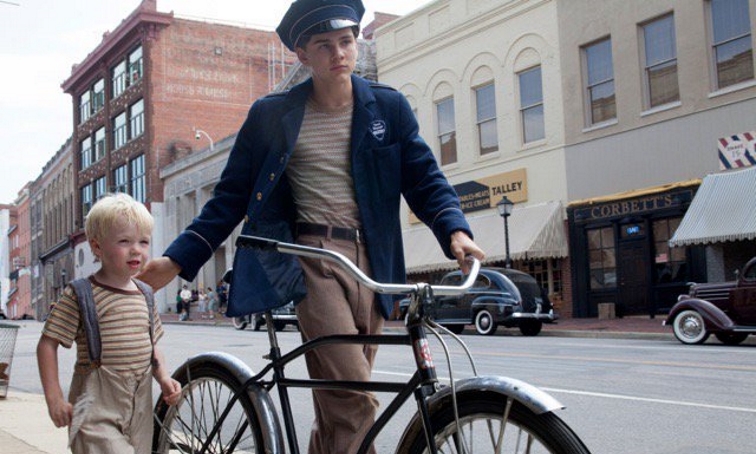 Andy Rooney starred as the young bicycle messenger in the original and was nominated for an Oscar for his performance. The book started as a story idea for the screenplay with author Saroyan winning an Oscar for his original story.